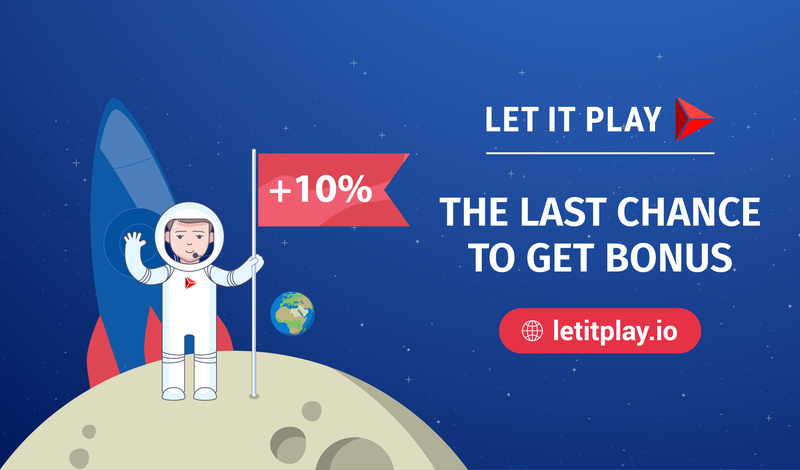 📢 The last chance to buy PLAY tokens with 10% bonus! The bonus is still 10% — grab your PLAY tokens! Today is the last day of the second bonus stage (+10%). You still can buy tokens with a price of 1 ETH = 11 000 PLAY. On May 15th the price will grow. Afterwards bonus will be +5%, act fast! You should follow @icowatchdog. ICO Watchdog is your comprehensive solution to following the cryptocurrency market. Follow the market with 100% Free and Real-time cryptocurrency alerts for all your favorite messaging applications today. Follow @icowatchdog Steemit account for news updates and token sales/air drops.